My mom got this recipe from their neighbor years ago. It's such a great recipe for get-togethers because it makes a lot and it is so easy and tasty! 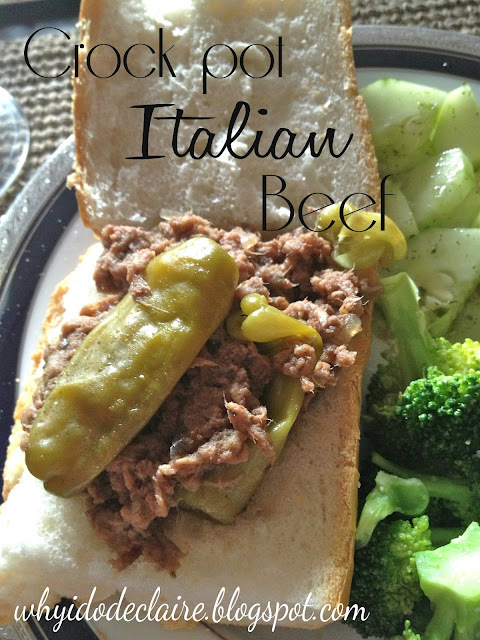 Your whole house will smell like Italian Beef! The best part is it cooks in the crock pot so you know all you have to do is dump everything in. 1. You will need a 3-5lb chuck roast, 1t. garlic powder, 2t. oregano, 1/4t. black pepper, 2T. minced onion or you can use 1 medium sliced onion, 8oz. beef broth, 1 can of beer, and an 8oz jar of pepperoncinis. 3. Pour the beef broth and beer over top. Cook on high for 6 hours. 4. Take the beef from the crock pot and shred. I used my kitchen aid, it does an awesome job! Return to crock pot and cook on low for another 2 hours. 5. Enjoy on a roll or french bread. 1. Combine everything but pepperoncinis in crockpot. 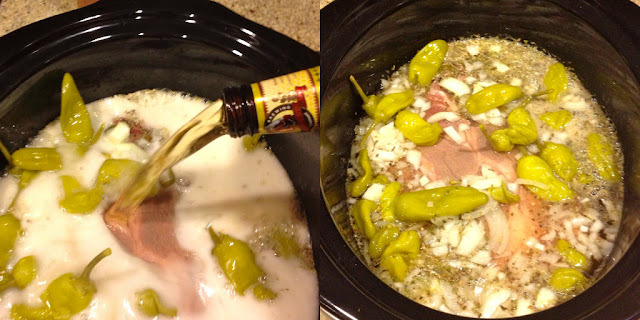 Pour juice from jar of pepperoncinis in crockpot and half the peppers. Cook for 6 hours on high. 2. Shred meat. 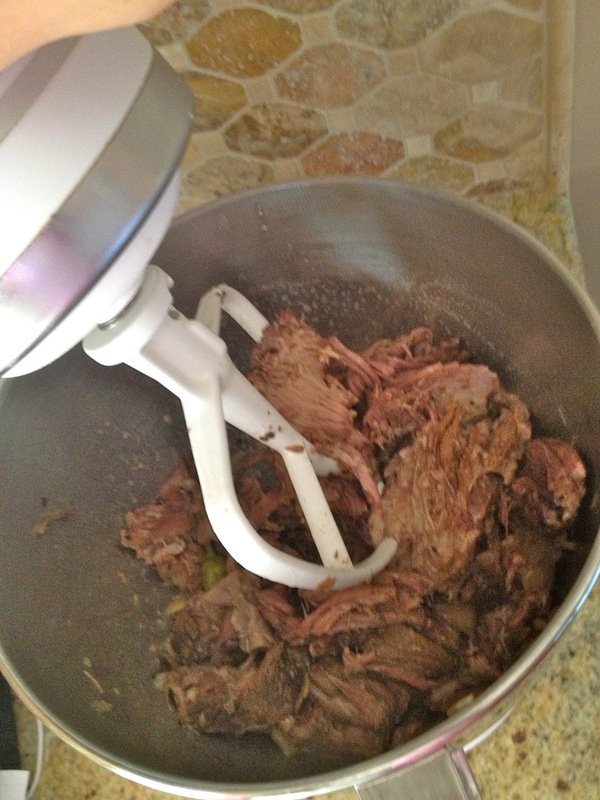 Add back to crockpot and cook on low for an additional 2 hours. Serve on rolls or french bread. 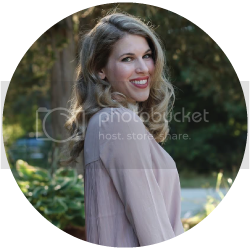 Crockpots forever! I'm excited to use mine more now that it's cooling off (actually, my recipe tomorrow is a crockpot recipe!). This sounds delicious!